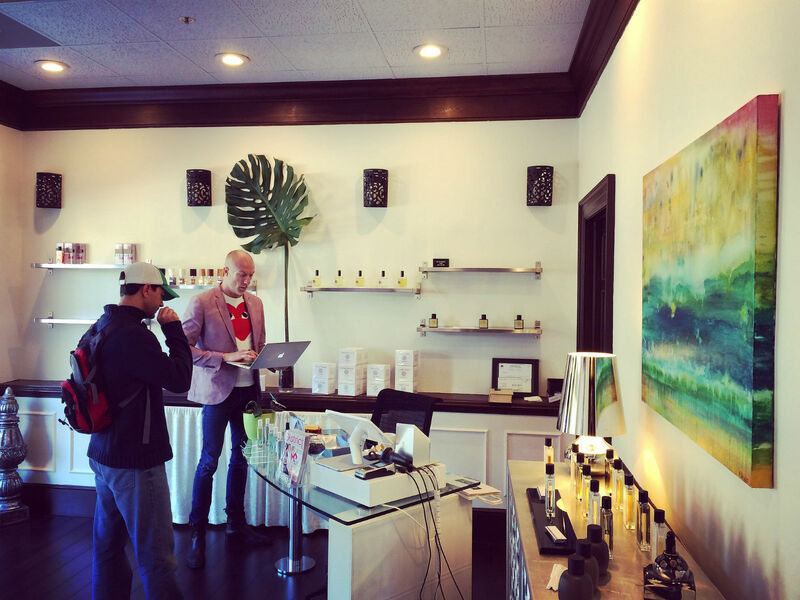 This “how to choose perfume” post is sponsored by Uncommon Finds, Tampa’s only niche fragrance boutique specializing in unisex scents, home scents, and other curiosities from around the globe. With all the talk of e-commerce, drone deliveries, and “death of brick-and-mortar,” I prefer to shop for fragrance the old fashioned way: simply start smelling. In order to select a perfume that fits you, reading online descriptions can only illuminate part of the picture. The rest is up to your nose, your skin’s unique chemistry, and your imagination. Believe it or not, fragrance isn’t that complicated. There are many ingredients, also known as notes, but typically any single formulation has a dominant theme—spice, citrus, wood, floral. Once you have a general preference for one theme or another, you can narrow your focus to variations on that theme, perhaps with added elements of another. Before you begin sniffing, ask yourself: is this going to be for a specific occasion, like date nights or days at the office, or am I shopping for a signature scent? If you tend to like variety, depending on the activity you’re preparing for when you spritz, or just wake up feeling a little different each day, consider trying a scent that is unlike what you already have. Personally, I have a lot of woody scents, so I like to periodically try florals that work with my body chemistry. And yes, men can rock a floral scent too! On the other hand, you may like consistency and be looking for the one. This of course means you need something versatile, with good longevity from spray to spray, and that you won’t tire of. It’s advisable to get a sample of a few you like and try each one over a few days or a week before committing to buy, especially if you are spending a handsome sum. Whether for your one or your many, it is best to invest in an eau de parfum, which are fragrances that contain a higher concentration of scent oil. Most mainstream fragrances are eau de toilette or eau de cologne, consisting mostly of alcohol and water, which tend to dilute and evaporate rapidly. In other words, they don’t stick to your skin for as long, and require more sprays on the body. You may notice that most of the bottles for sale at Uncommon Finds are small- or medium-sized; this is because the liquids are more concentrated eau de parfum, and will actually last longer than a large bottle of eau de toilette. Fragrance is a powerful sensory reference point—a profile that announces us, makes others remember our presence, and sets the tone for an occasion. Whether you want something you wear everyday or a collection of scents for the various moments of your life, it is as simple as beginning to smell and try. Only your nose will be able to show you how to choose perfume. Uncommon Finds is open in Downtown Tampa Tuesday to Friday, 10am to 6pm and Saturdays 10am to 2pm.